They did a wonderful job on our roof! Sasha B. 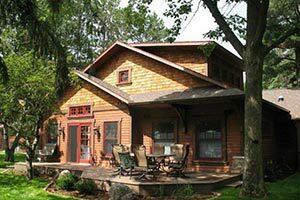 Welcome to Neumann Construction Inc. We provide roofing contractor and gutter services for homeowners in the Brainerd Lakes area. 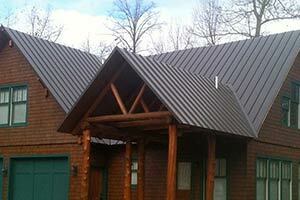 A properly installed roof and gutter system will help protect the investment you’ve made in your property. With the extreme temperature swings we experience in Brainerd Lakes, it’s critical that you work with an experienced local roofing company that you can count on to do the job right. At Neumann Construction Inc., our commitment to our customers goes beyond roofing and gutter installation — we make sure we understand our customers’ expectations and timeline for every project that we commit to. Our crew members are insured to protect our customers and we carry workers’ compensation to protect our employees. 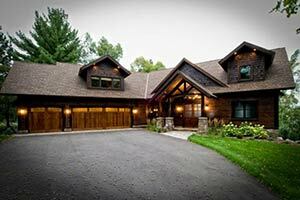 We also carry a contractor’s license to meet the rigid standards set by the state of Minnesota. 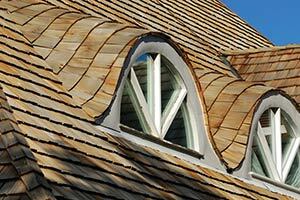 Why Work with Neumann Construction Inc.
Neumann Construction Inc. is not only a trustworthy roofing contractor, we are also highly experienced. We have installed new roofs on more than 2,500 homes in the Brainerd Lakes area. As a GAF Certified roofing contractor, we provide the highest quality of workmanship and use the best products possible to ensure your investment is protected. We can give you peace of mind. Since our contractors are insured and we carry workers’ compensation, you don’t have to worry about liabilities like medical costs if an accident occurs during a job. You can also rest assured knowing an experienced contractor is handling your roof, and not a company that could leave you vulnerable to expensive repairs because of poor workmanship. Let’s get to work on your next project. For your free, no-obligation consultation, call (218) 270-0009 or complete our online request form.